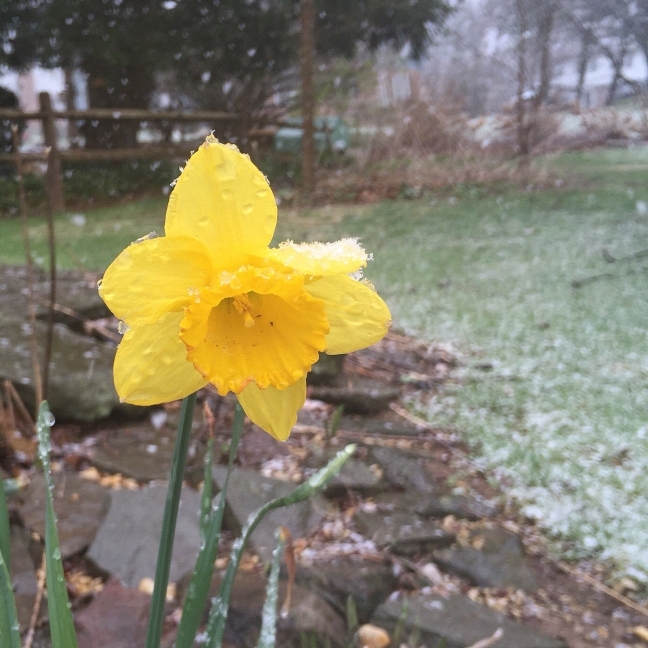 I guess it's not completely unusual to get snow in April in Pennsylvania, but I don't remember the last time it happened, so it must be a few years now. 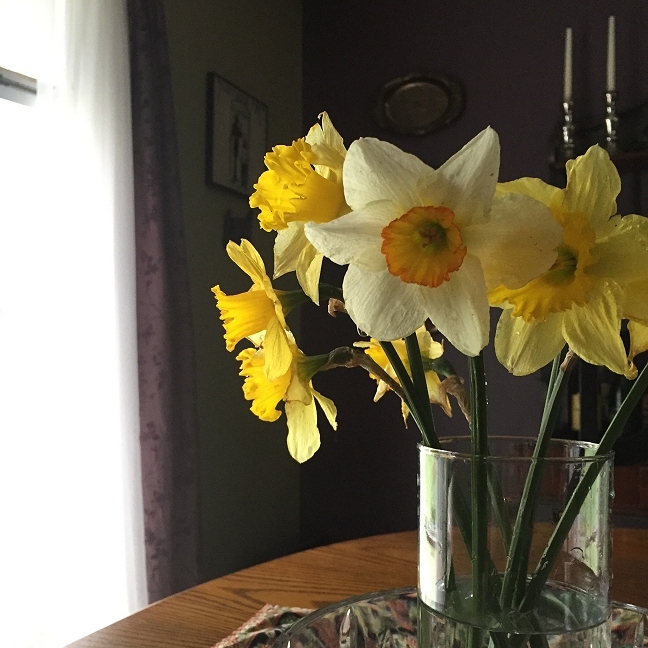 In any case, I went outside and cut a few of my remaining daffodils and brought them inside so we could enjoy them for a little while longer. 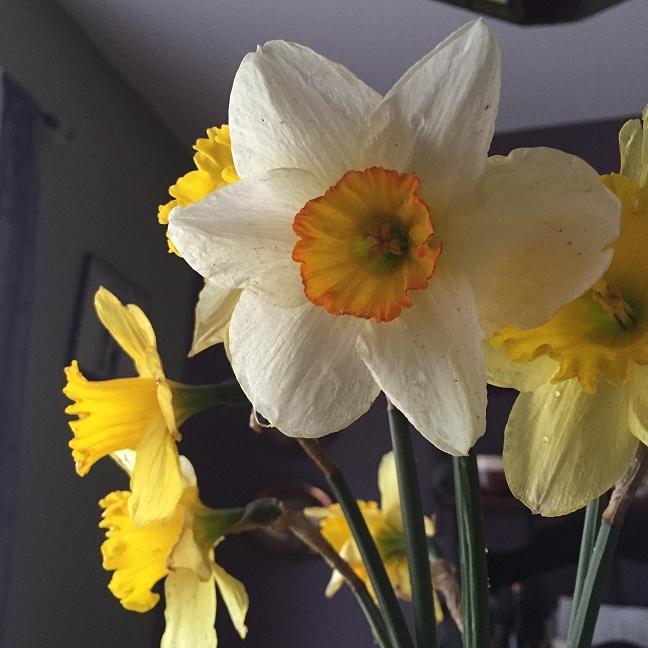 They were already beginning to fade and wither, so I figured why not give them an extra few days instead of letting the snow and cold take them. Do you have snow in April where you live?